Amref Health Africa is an independent, non-profit, non-governmental organization (NGO) whose mission is "to improve the health of people by partnering with and empowering communities and strengthening health systems". Amref Health Africa has over 500 employees throughout Africa with its headquarters in Nairobi, Kenya. Amref Health Africa has offices in Tanzania, Ethiopia, Kenya, Uganda, and South Africa, South Sudan and Senegal and a number of offices in Europe and North America for fundraising. Amref Health Africa in Tanzania is largely supported by Multilateral, Corporate, Bilateral and National donors, implementing several programmes including HIV/AIDS/TB/Malaria, Reproductive, Maternal, Newborn and Child Health, Water and sanitation, Capacity Building, Laboratory strengthening and clinical outreach. Amref Health Africa in Tanzania has the following vacancy in Dar es Salaam region to be based in Dar es Salaam. Amref Health Africa in Tanzania is implementing a two year project funded by The Coca Cola Africa Foundation (TCCAF)titledReplenish Africa Initiative-RAIN in Serengeti district.To create synergy this project is implementing strategies and approaches which integrate Water Sanitation and Hygiene (WASH) programmes into livelihood, nutrition and food security activities. The project is focusing on strengthening community WASH management and governance systems increasingly transforming them from subsidy to non-subsidy based orientation for sustainability. The project is implement a set of high impact activities related to three key themes namely: increasing access to water; increasing access to safer sanitation and increasing livelihood opportunities for women and youths. In the inter-vention package, we will strive to ensure equity and inclusion by paying particular attention to the chronically poor, designing systems which are usable by disabled and ensuring that gender is main-streamed in every action. In order to deliver this project, Amref Health Africa in Tanzania is seeking to recruit a highly motivated and competent project manager as follows. To provide technical support to the Programme Manager on the implementation of Water, Sanitation and Hygiene interventions and ensure timely implementation of project activities to achieve the project targets of the planned activities. • Take a lead role in community mobilization for awareness creation; capacity building to community on solid waste management. • Implement planned activities and prepare activity reports, monthly reports and donor reports. • In liaison with Programme Manager ensure proper communication and involvement with district partners on implementation of project activities. 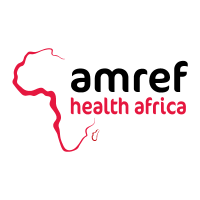 • Support programme Manager in programme development, concept note and proposal writing in consistent with Amref Health programme goal and strategy. • Work closely with local and national government structures for communication and dissemination forums. • In liaison with programme Manager ensure the effective communication and networking developed and maintained through partnership and collaboration. 2.At least 5 years working experience in NGOs - particularly on community based WASH projects in consortium of multi-stakeholders (communities, local government, and donor). Amref health Africa - Tanzania regrets that only short-listed candidates will be contacted.